Coordinates with Loure faucets, accessories, and showering components to complete your bathroom. 4 functions, users can utilize the overhead fixed rain showerhead, hand held showerhead, six adjustable body jets, or tub spout to achieve the best showering experience possible. The wall mount construction is lightweight making installation easy and allows for better space utilization in your shower. The stainless steel finish with polished chrome accents provides a clean, sleek look that is perfect for any style of bathroom. The Kinlock service sink faucet is secured to the wall with a brace for heavy commercial and industrial use. Available in a Polished Chrome or rough-plated finish, the unit features inside-threaded couplings, loose-key stops in the shanks, a vacuum breaker and a pail hook for wash or mop buckets. From wall to spout, the reach is 8-5/8". The lever handles on this model meet ADA requirements, adding to its commercial utility. 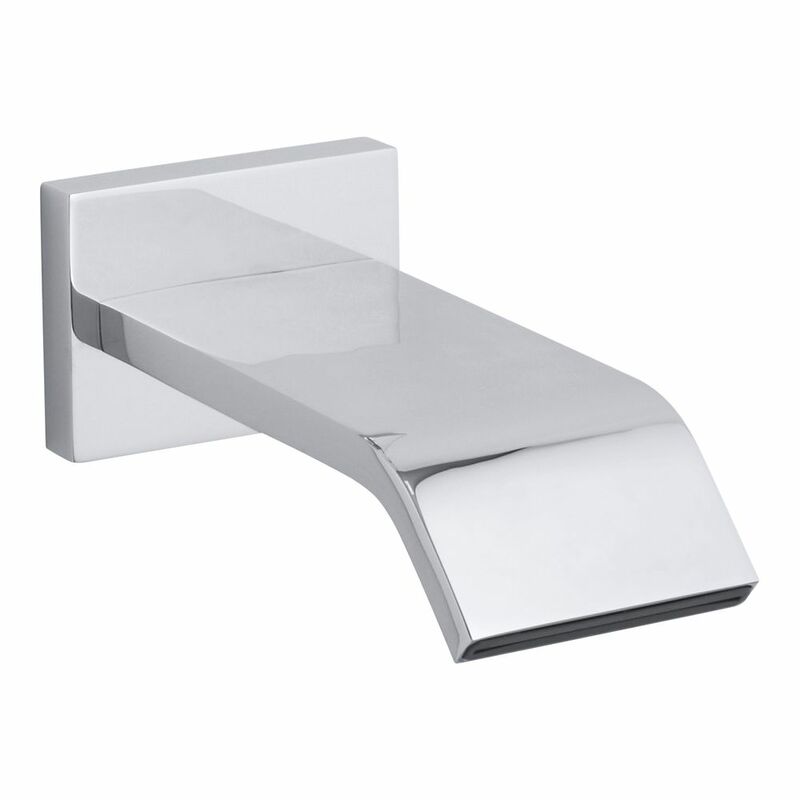 Loure Wall-Mount Bath Spout In Polished Chrome Combining a sleek profile with enhanced utility, Loure introduces a classically modern look to your bath decor. This strikingly contemporary bath spout offers a minimalist design with clean, smooth lines. The spout delivers a graceful sheet of water for a serene bathroom environment.